Tata Motors will soon launch the all new Hexa in the Indian market. 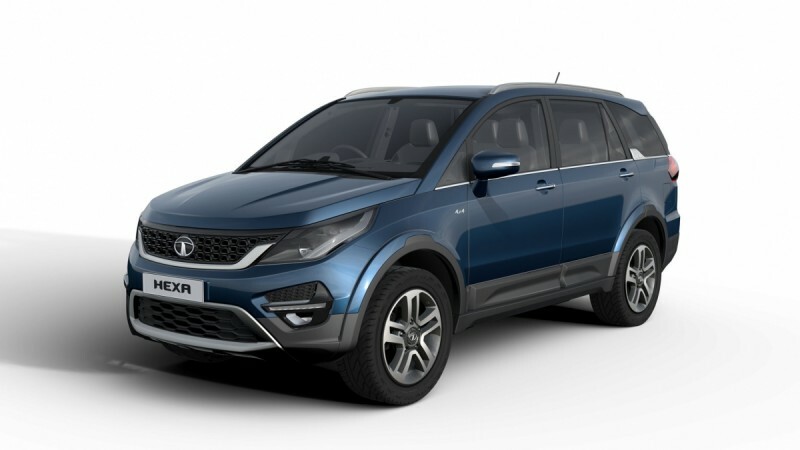 The new vehicle from Tata Motors is pitched as an all-rounder SUV with an MPV like body and SUV-like front. By these words, did you remember another vehicle? Yes, it’s the Toyota Innova; SUV-like front and MPV body. Toyota Innova is purely a premium MPV. Whereas, Tata Hexa will be an all-rounder. There are many features on which Hexa gets upper-hand over Innova and there are features that Innova upper-hand over Hexa. 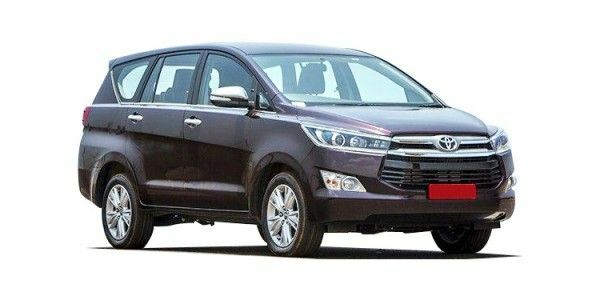 Still confused on Toyota Innova Vs Tata Hexa? Let’s find the best possible 5. Let’s do some number crunching. By size, Tata Hexa wins in the comparison of Length, Width and Wheelbase whereas Innova has only one parameter of height over Hexa. This is clear indication that Hexa will have better road presence compared to Innova as its longer and wider than the Toyota Innova. Tata Hexa will come with diesel engine only and there is no information about petrol engine Hexa. Whereas Toyota Innova comes with total 3 types of engines that include 2.4-liter diesel, 2.8-liter diesel and 2.7-liter petrol. The 2.8-liter diesel motor only comes with an automatic variant of the car. Tata Hexa will offer same engine and power specs across all variants from a 2.2-liter varicor engine. The 2.8 liter variant of Innova which is Automatic only is more powerful and produces 174 PS /360 Nm than Hexa’s 156PS/400Nm. But, Hexa wins here in terms of torque number whereas Innova wins only in power number. In simple words, with 7 people on board Hexa will crawl smooth on hilly area traffic jams than Innova. Tata Hexa will return 14kmpl for the manual 6-speed transmission as the engine is same from earlier Safari Strome Varicor range. Whereas, Innova comes with 5-speed manual transmission and returns 15.10 kmpl. Now these figures are from ARAI under specific test conditions, but these figures reduce by at least 2 kmpl when it comes to real world conditions. We have Innova winner here when we consider the only number but Hexa will come with 6-speed transmission so it is better highway cruiser and can cruise at high speeds. We have a tie here. 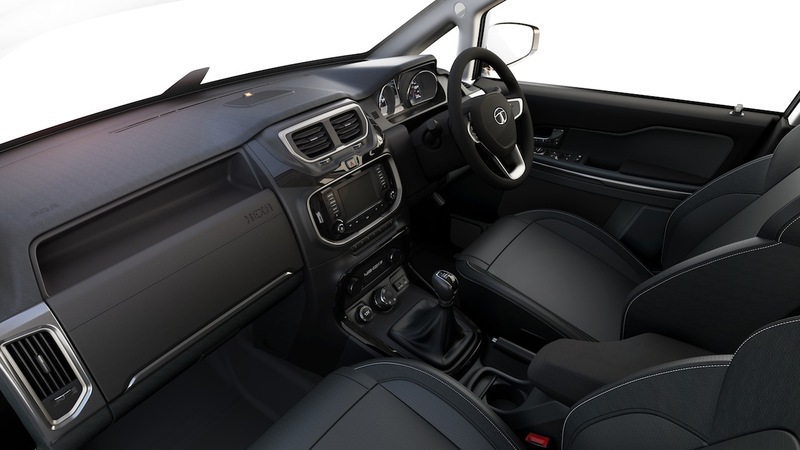 The dashboard of Tata Hexa is in line with the exterior design of the car whereas the Innova dashboard looks overdone by adding extra curvy lines. The infotainment system is well integrated with dash in Hexa that is not the same case with Toyota Innova. Considering features, both these cars offer almost same features, however the feature rich model of Innova Crysta is crossing 20 Lakh mark. The base model of Innova Crysta starts at 13.83 Lakh for ex-showroom Delhi whereas Tata Hexa is expected to be priced around 12 Lakhs for ex-showroom Delhi. All in all, Tata Hexa will be a better package for the price it will come with whereas Toyota Innova has proven its reliability over the years in the Indian market. Tata Motors had a failed product Tata Aria on which Hexa is based on. Everyone should get a second chance so does the Tata Motors in this segment, but, are you ready to shell 12 lakhs for this product? Because against those 12 lakhs you have a product which is bit expensive but proven over years when it comes to comfort and reliability. The decision is yours!